Free Ebook - Sprint Your Way Rich! GET YOUR FREE EBOOK & JOIN MY COMMUNITY! For driven women entrepreneurs who want it all NOW, if not sooner, and are willing to do the work to get it! Stuff slowing down, stuff the 4-hour workweek, and stuff the idea that in order to be successful as an entrepreneur or as a woman you need to be calm, contained, do one thing at a time, and sail effortlessly through your daily tasks with a small smile on your face and a gentle 'who me?' shrug of your shoulders. 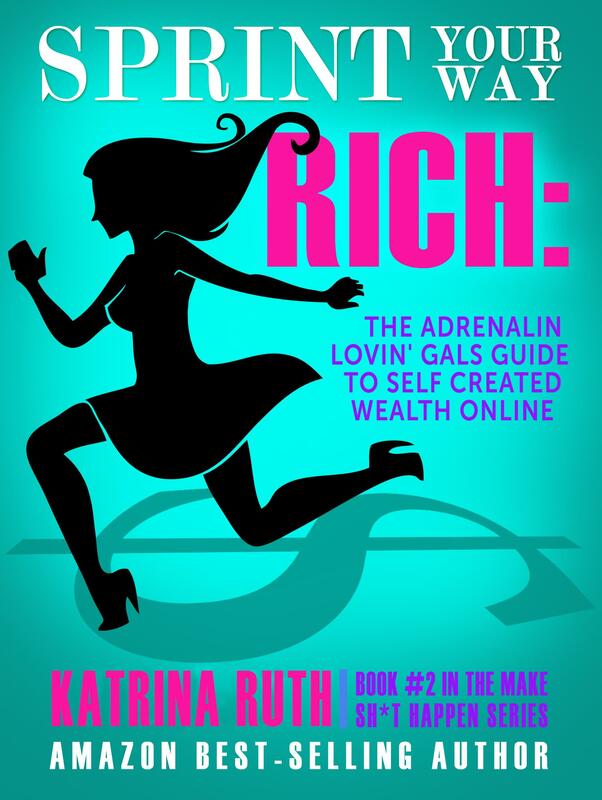 Sprint Your Way Rich is the story of how to create true wealth and the life you want by following your natural urge to PUSH and to get sh*t done. Enter your details below and I will send you "Sprint your way RICH" for free, and add you to my mailing list. You will receive amazing free content, training and our latest offers that I send daily to my community!